The Danish Refugee Council has been operating in Tanzania from October 2015 since the establishment of Nduta refugee camp. DRC is currently working in Nduta and Mtendeli refugee camps, with a current combined population of approximately 170,000. DRC is working in the sectors of Camp coordination & Camp Management, Community Services, Protection, Shelter/Construction and livelihoods in addition to General food distribution and Management of Extended Delivery Point. 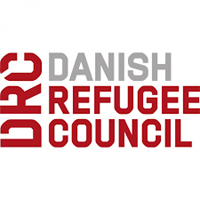 The Project Manager represents the Danish Refugee Council for food distribution in Kibondo and has the direct responsibility for the management, implementation and continued development of the DRC outputs and activities in the field of General Food Distribution. The Project Manager has financial and administrative responsibility for the GFD project and is also responsible for the planning and implementation of adequate security precautions for the programme to ensure the safety of all staff and assets. The Project Manager will directly manage the program and support the teams in the two program locations of Nduta and Mtendeli camps, and ensure the quality and effectiveness of the General Food Distribution programming. Minimum of 4 years’ experience in Food Management. Experience in development and implementation of projects in a complex context, with additional experience in sustainable livelihoods including quality monitoring and evaluation processes. Demonstrated experience in people management and team-building. Demonstrated ability to undertake representation with senior government officials. Duty station: Kibondo, Tanzania with frequent travel to the field sites within Tanzania. This is a non-family duty station. Duration: One year with possibility of extension, subject to funding. If you have questions or are facing problems with the online application process, please contact job@drc.dk.